There’s a lot of tasty new metal at the 2018 EICMA Show, but the Ducati Panigale V4 R is especially delicious. It gets its power from the 998cc Desmosedici Stradale R engine, which is smaller in capacity than the regular Panigale V4. The reason for the smaller engine is to comply with the limits on engine displacement under WSBK regulations. Despite the size reduction power output is up, rising to 15,250rpm in road-going trim. The result is a power output measuring 221hp and 112Nm of torque. Inside the new engine are forged pistons, a new camshaft design and both conrods and valves made from titanium. These along with larger throttle bodies all combine to make what could easily be one of the best engines of 2019. The redline is a staggering 16,500rpm. Fit the full-racing Akrapovič exhaust system and the power output increases to an incredible 234hp at 15,500rpm. 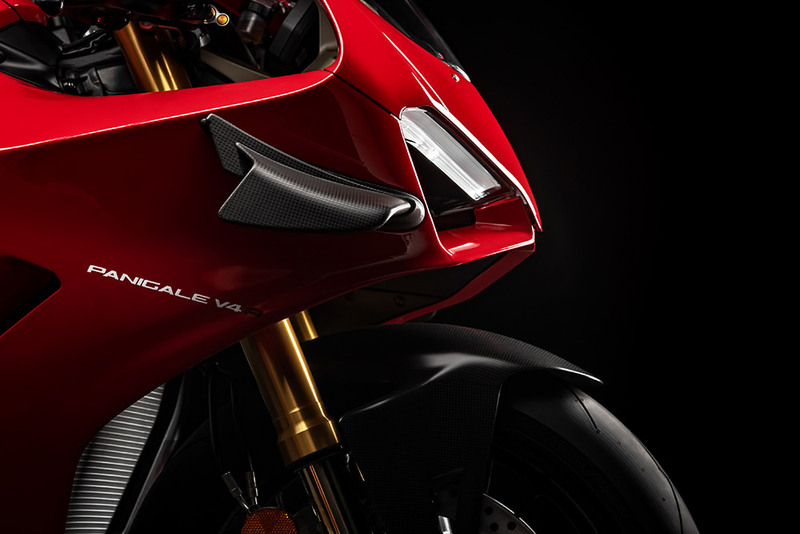 All this in a bike that weighs 193kg at the kerb makes the Panigale V4 R the most powerful road-going motorcycle Ducati has ever produced. Among the additions are winglets on the front fairings. 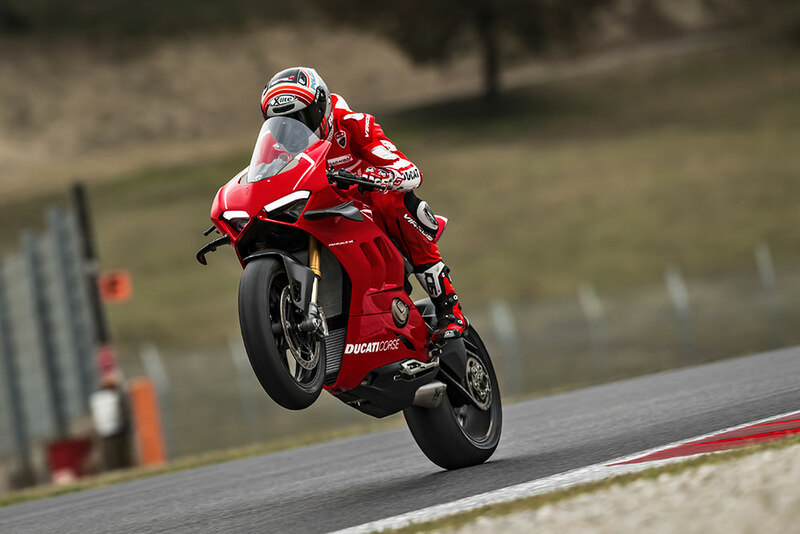 Developed from the company’s experience of their use in MotoGP, Ducati says these help to improve high-speed stability. The factory claims that they also help to reduce the rider’s reliance on electronic controls and boost confidence when pushing harder on track. There’s a lot of debate about whether winglets are a good thing or a hideous add-on. Aesthetically, we think they work. Don’t @ us! Other design features include new gills on the side fairings that help to improve airflow from the radiators. An adjustable swingarm pivot helps with setup while adjustable Öhlins suspension front and rear save weight over the heavier electronically adjustable versions. Also keeping the weight down are the black three-split-spoke forger wheels from Marchesini. On the rider electronics side of things, the Panigale V4 R gets cornering ABS, launch and wheelie control, an IMU-based traction control system along with rear-wheel slide control. There’s even a pit lane limiter so you can feel like a pro rider at track days. To help you keep tabs on your performance throughout the day, Ducati also equips the bike with a GPS-assisted lap timer. We want. We really, really want.